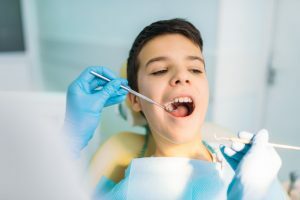 According to the American Dental Association, it is recommended your child visits the dentist every six months for regular checkups and cleanings. Their dental exam is the catalyst for prevention of future problems and can help them to get used to the idea of visiting the dentist regularly. This can help give them good oral hygiene practices, as well as getting them into healthy dental habits of visiting the dentist. We here at Ascent Dental Group will ensure that your child has a comfortable and calm experience in our office for each of their checkups. What is involved in a Pediatric Checkup? Why are Pediatric Appointments so important? Pediatric appointments are important because they help to monitor the development and growth of your child’s teeth. Checkups are also crucial in preventing small problems from getting worse and can be a preventative measure when it comes to decay and other issues. The more you bring your child to the dentist, the more normal this is for them and the more likely they’ll go to the dentist when they’re adults.